Come and float in the heavenly atmosphere of the Brahmasthan, the central point of India, described by Maharishi as the holiest of the holy places of India. Daily auspicious Vedic recitation live, by the Maharishi Vedic Pandits. 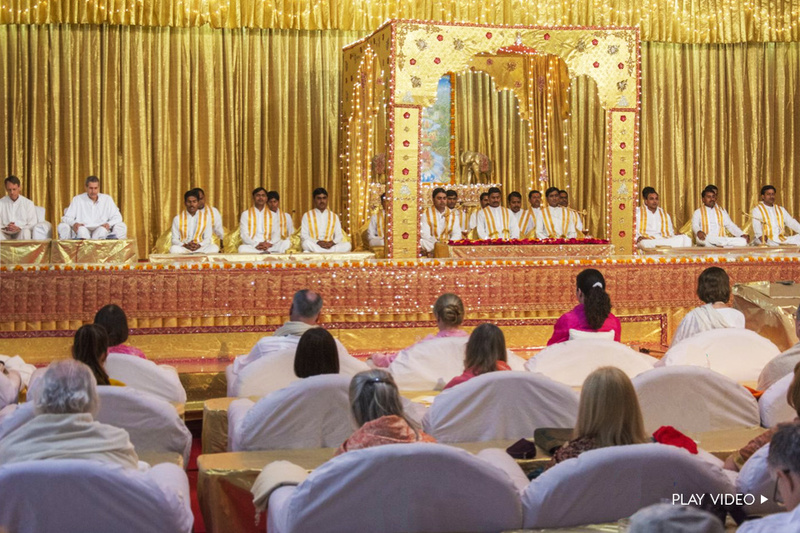 One live performance of Atirudrabhishek each week, a highly auspicious Yagya for world peace performed by 1331 Maharishi Vedic Pandits – a truly unforgettable and powerful experience. One live performance of Durga Saptashati each week, for the blessings of the nurturing and affluent qualities of Natural Law. Longer meditation and longer practice of TM-Sidhis, in the sublime atmosphere of the Brahmasthan where more than 2000 Vedic Pandits are practising Transcendental Meditation and the TM-Sidhi programme including Yogic Flying, as well as performing Yagyas for world peace. Profound videotaped lectures by Maharishi, specially chosen from some of Maharishi’s profound talks and reflections over the past 40 years. Many of these tapes have not been shown on courses before, and cover topics that we have all been wanting to hear about for decades. A special, comfortable routine, designed for maximum rest and rejuvenation. Delicious, wholesome, healthy meals, prepared by top Indian chefs. The food is tasty and delicious, but without those extremely hot spices that can sometimes unsettle the digestion of Western people. Experienced course leaders to guide you in the knowledge and ensure your comfort. All rooms for course participants are suites with private bathroom. In addition, we now have some new deluxe suites, at an extra charge. Irene Earl is long-time TM teacher from the USA, who has worked in many areas of administration. She has been a course leader each season since we began in 2011-2012. Irene takes care of many areas of running our courses including housing and finance. Aileen Foo is a long time TM Teacher from Malaysia for over 20 years and the National Leader for five years. She has been involved in TM teaching projects in Asia. She was also the Course Leader for Asian Ladies TTC in Thailand. Aileen has been the Course Leader at the Brahmasthan every season since 2013/2014. Lynn Tobin is a Governor from Canada. Before becoming a teacher of TM, Lynn completed a one year course in Maharishi Ayurveda at Maharishi University of Management and afterwards worked in several Maharishi Ayurveda Clinics as a Technician and Technician Trainer. Razvan Ionescu was born and raised in Romania but now lives in Toronto where he leads the downtown Toronto TM center activities. In addition to running regular TM Courses, he has organized for the Greater Toronto Area, several Coherence Days courses in support of the Canadian National Coherence Day program. Gaurav Thakur is originally from Himachal Pradesh but now resides in Noida where he is one of the full time Governors leading the Delhi NCR TM Center. In addition, he regularly organizes residence courses, coherence days and World Peace Assemblies and coordinates annual events like Guru Purnima and International Yoga Day. Gaurav has taught TM at top Universities in India and also organizes corporate programs in Delhi NCR region. Through teaching notable leaders of the business community, the initiations at TM Centers has greatly increased. Margaret Mullins is an active Governor with the Heavenly Mountain Peace Palace in North Carolina, as well as having worked as a Nurse Practitioner in both Western medical modalities and Maharishi Ayurveda. Margaret worked in Maharishi Ayurveda clinics for 13 years and completed the Maharishi AyurVeda physicians training in 1992. She currently teaches Maharishi AyurVeda courses as adjunct faculty with MUM and MAAA. Raj Kumar Srivastava has been an Administrator in the Indian Movement for 20 years. He has worked in various locations and capabilities, including being in charge of operations at the Maharishi Purusha Program in Uttarkashi and the State Coordinator for the Maharishi Vedic Pandit Program. 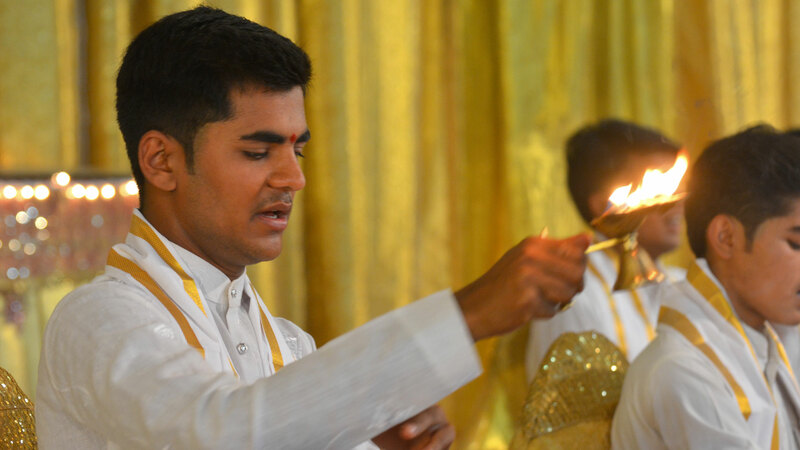 He has been helping to run all areas of the Brahmasthan courses since the first season in 2011-2012. Ram Vinod Singh Gaur is a longtime TM teacher. His work for the Indian Movement has included administration, TM teaching and being a course director for TTC. He has helped run the courses at the Brahmasthan since 2011-2012.